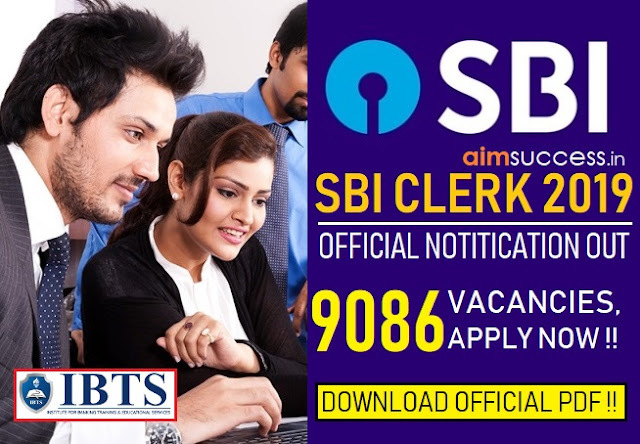 IBPS Clerk Prelims Exam 2018: The 3rd Shift of Prelims Exam of 8th October 2018 is over now and If you are going to give the IBPS Clerk Exam soon or have given it today, you must be looking for detailed IBPS Clerk Prelims Exam Analysis & Review 2018. 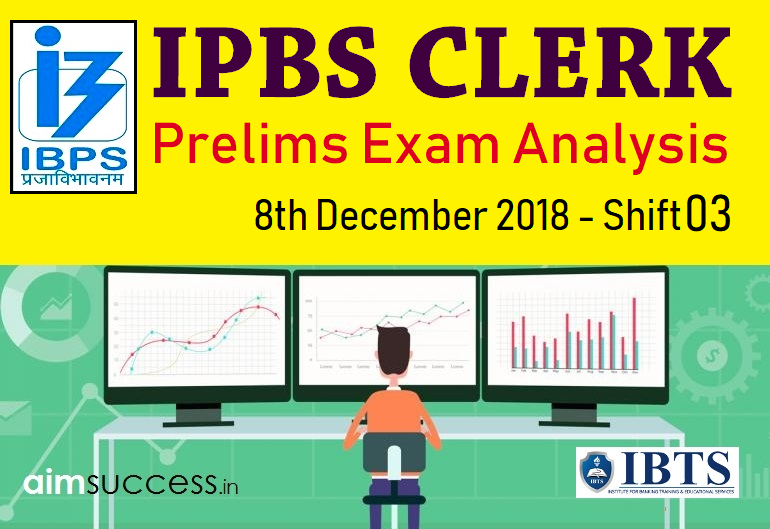 Here we are providing the IBPS Clerk Prelims Exam Analysis & Review 2018: 8th Dec Shift 3. This analysis shall help in evaluating your performance. You can even get an estimate of your score. All those who are yet to appear for the exam can find this analysis helpful too. This will help the applicants to have an idea of the exam difficulty level, number of good attempts and therefore an estimate their scores. Besides, those having exam in the upcoming days or shifts can go through the analysis to have an idea of the exam and also know the questions asked in all shifts of IBPS Clerk Prelims Exam 2018. Level of the IBPS Clerk Prelims Exam 2018 : Easy to Moderate. The level of Reasoning and Numerical Ability section was easy. These two sections helped the students in increasing their attempts as no tricky or very time-consuming questions were asked. English Language Section was of Moderate level. Changes: No New Pattern question was asked in the exam. The questions were easier than first shift and the examination was relatively easier this term and it is hoped that in subsequent terms, it will remain same. Sectional Order: The order of the sections was English Language, Numerical Ability & Reasoning Ability. Sectional Timing: This year there is the sectional timing of 20 minutes in the Prelims Exam, its important for all banking aspirants to go through the review once. The level of Quantitative Aptitude section was Easy to Moderate. The questions were based on simple arithmetic calculations like percentages, difference/ addition, ratios, averages etc. One DI questions based on a Bar Graph in this slot. Bar Graph D.I was asked in the exam. In this data related to number of students in school from the year 2007-2009 were provided. English section was also of easy to moderate level. There was one set of Reading Comprehension with 7 questions out of which 1 question was related to vocabulary. The passage of the RC was based on an article related to introverts and extroverts. Box-based puzzle was asked. 7 boxes were there. Circular seating arrangement puzzle was asked. In this, all the persons were facing inside. One day based puzzle was asked in which Monday to Sunday seven days and seven persons were given. A linear seating arrangement based puzzle was asked. In this number of people were not given. Two persons were facing south and remaining north direction. 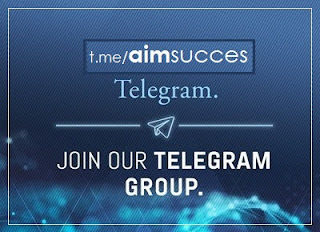 Keep visiting us regularly for more exam review and analysis of the upcoming day's analysis. We are sure that you have worked hard to clear the IBPS Clerk Prelims Examination and hence, we are confident that your efforts will be rewarded. Just keep going!